Southern Connecticut State University’s first “social justice” president wants to know more about the community in which his university is located—and is asking the community to learn more about SCSU in return. That pitch came from Joe Bertolino, who has been president at Southern Connecticut State University (SCSU) since July 2016. Tuesday night, he rolled into the Whalley/Edgewood/Beaver Hills (WEB) Community Management Team, speaking to 20 or so at the Whalley Avenue police substation by Minore’s Market. A self-declared “social justice educator for 25 years,” Bertolino told the management team that it is his goal to bring more New Haveners to SCSU’s campus, and more students in general into the greater New Haven area. As a good neighbor, Bertolino said he doesn’t just want to subsist on talking points. Nevertheless, he has a few: SCSU grads have been voted New Haven and Connecticut’s Teacher of the Year, Guidance Counselor of the Year, Superintendent of the Year and even National Teacher of the Year, and 60 percent of the state’s teachers are trained at the school. So are 60 percent of the nurses at Yale-New Haven Hospital. Next year, SCSU will also roll out a doctorate of social work. But Bertolino said he’s more excited about the new community-focused initiatives that the university is doing this year, and will continue into next. 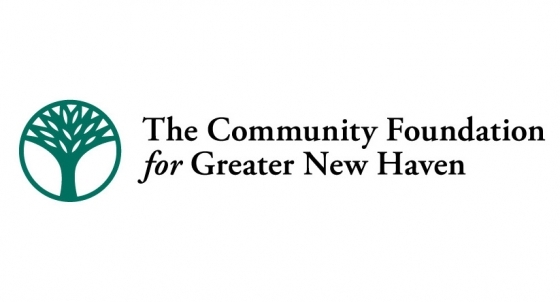 Earlier this year, SCSU announced a new partnership with New Haven Promise. The university has also increased its presence at Gateway and Housatonic Community Colleges, helping students transition from those schools into the university, and bringing four-year degree programs to them. It’s also building a new school of Health and Human Services. Staff will also be working alongside community members on a new “Reflection Garden,” commemorating four slain Sandy Hook educators who were SCSU alums. “Regardless of your political point of view and your position. I want there to be debate and dialogue and disagreement. Where better to have it than on a college campus?” he added. WEB attendees had news for him: He didn’t need to pitch that hard, because they were already there. It was a joyful reentry into education, she recalled—students who were decades younger would watch her do long division with great interest, as they tapped numbers into their phones. “Our house is a Southern house,” added WEB Community Management Team Chair Nadine Horton. First her daughter Taja attended Southern. Now her husband is getting his Bachelor’s degree from the university. Next to her, Lt. Elisa Tuozzoli praised SCSU students for their involvement with Friends of Rudolph, a police department holiday gift giveaway. When the Police Activity League (PAL) held the event last week, members knew that SCSU students had already taken their final exams, and stayed specifically to volunteer with kids. In total, she said the program helped 1,000 kids get presents. “What about the library?,” attendee and Team Treasurer Bob Caplan asked. He explained that unaffiliated New Haveners had once been able to check out books at the library, which was no longer the case. Maybe Bertolino could work on it, he asked? “I’ll talk to somebody about that,” Bertolino said.